In our episode today, Dr. Matthew Smith, lead pastor of Pacific Baptist Church in El Segundo, California, explores forgiveness when it becomes the theme of a dinner that Jesus is invited to by a local Pharisee. As we open our Bibles to Luke 7, we discover that attitudes are the fragrance of life and the difference between the religiously superior person and the forgiven spirit are the attitudes you can smell … as we see at the dinner situation Jesus was in. Let’s listen is now as Jesus tells us that how we respond to the forgiveness of Jesus reflects what’s really happened inside of us. We hope you prayed that prayer to receive the forgiveness of God. If you did, congratulations! It is our sincere hope and prayer that you will take the next steps in the faith by getting into a small group of believers and digging into the Bible through group study. You can take the thought of this message one step further by ordering a copy of Pastor Matt’s book, In His Presence. In His Presence is a daily devotional which targets the purpose of Magnification or Worship. 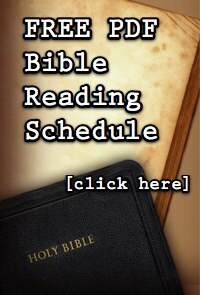 The devotional follows a reading schedule through the entire book of Psalms over the course of the year. You can order a copy of In His Presence from Amazon by clicking the link on the side panel of the Eagles In Leadership website. There Are No Small Pastors!